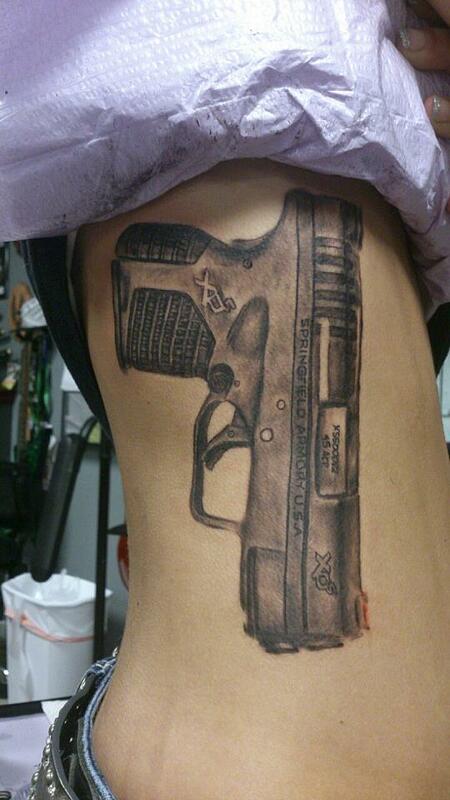 Now this is commitment, I make my living off of Springfield Armory pistols and am known as the XDMAN. I don't even have an XD related tattoo. I guess I am going to have to go out an get one. This was spotted over at xdtalk.com were member pjcforpres2020's wife who is a tattoo artist tattooed an XDS on a customer. XDS for life!